I had posted about Jay's dancers and crew previously. Well, it's now time to write about a very important collaborator in Jay's music. See that cute guy next to our Jay in the photo above? 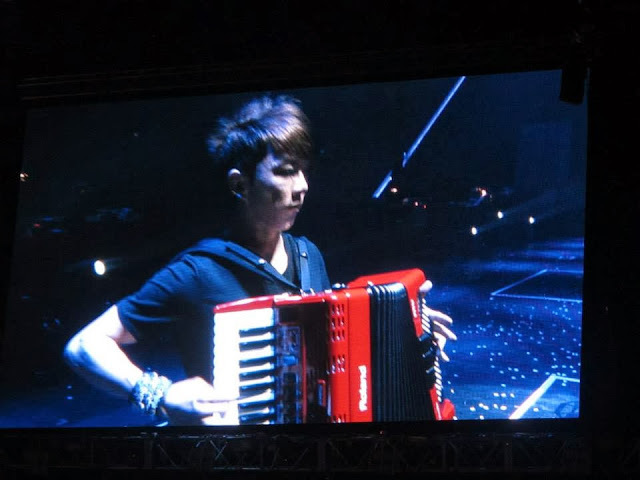 Yup, that's Jason Huang Yuxun, Jay's music arranger and fellow musician who has worked with him for the past six years or more, probably since their Alfa Music days. 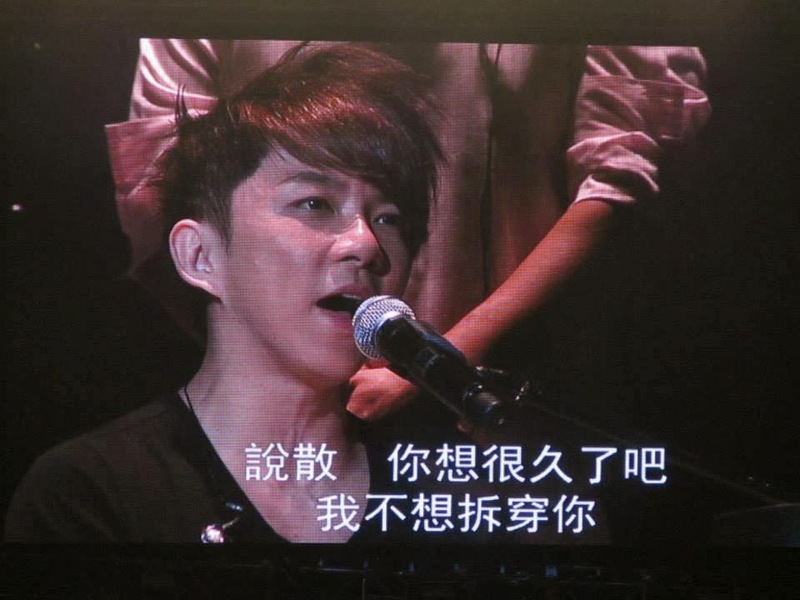 I'm blogging about Yuxun because he has figured very prominently in all the OPUS JAY concerts this year, with Mr Chou always getting him to sing and telling fans about which songs Yuxun had helped him arrange. 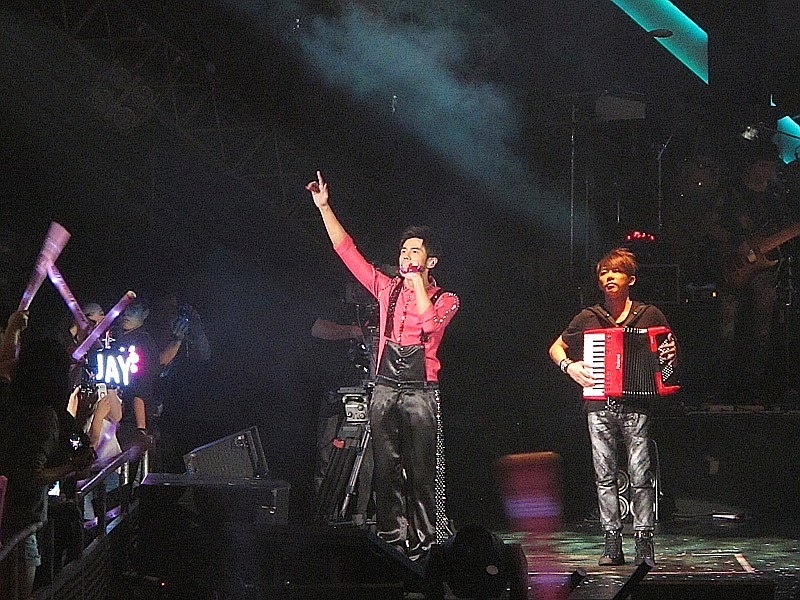 These include Dao Xiang and many others. 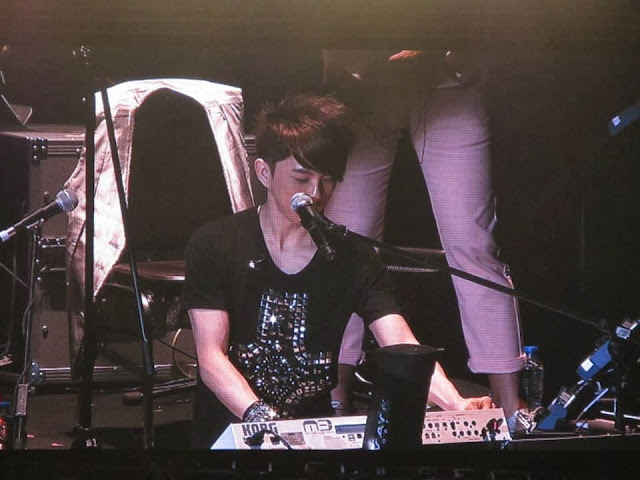 Yuxun also has a solo spot with the portable keyboard and he rocks! 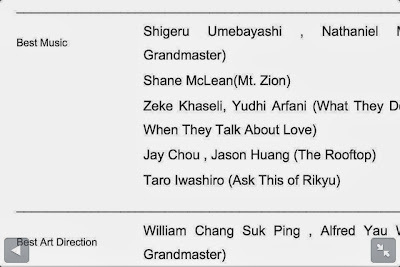 And of course, he worked with Jay on the soundtrack and score for The Rooftop, which has been nominated for a Best Music award in the upcoming Asia-Pacific Film Festival this weekend! 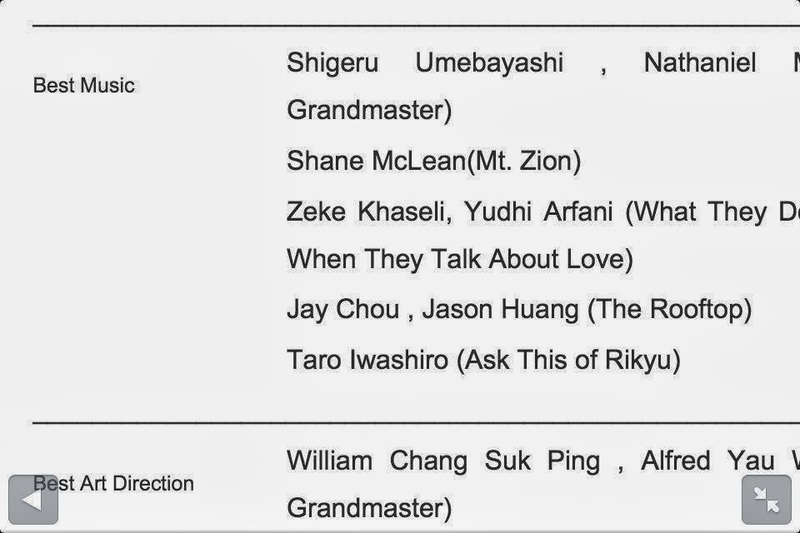 I loved the soundtrack for The Rooftop but was initially unaware that it was Yuxun who had composed all of the score and background music, including the haunting opening piano piece in the gallery scene. Movie scores are perhaps even more important than the songs as the appropriate music can really make or break a scene. Anyway, my dear friend, Irene gave me a link from baidu which I shall try to summarise with my very average standard of Chinese. The link shows his bio and a rundown of his works. Here's my vid of him singing Black Humour with Jay at OPUS JAY in Singapore on the first night...listen to the fans screaming! Yuxun was also very sweet when we went to send him and the crew off at the airport. He actually took a photo of our fanclub members and posted it on weibo/Facebook, with a nice comment that we were very well-behaved and polite! That thrilled all of us no end! All in, Mr Huang is every bit as DIAO as Mr Chou and my friends and I are looking forward to seeing him and the rest of the crew again in the near future. 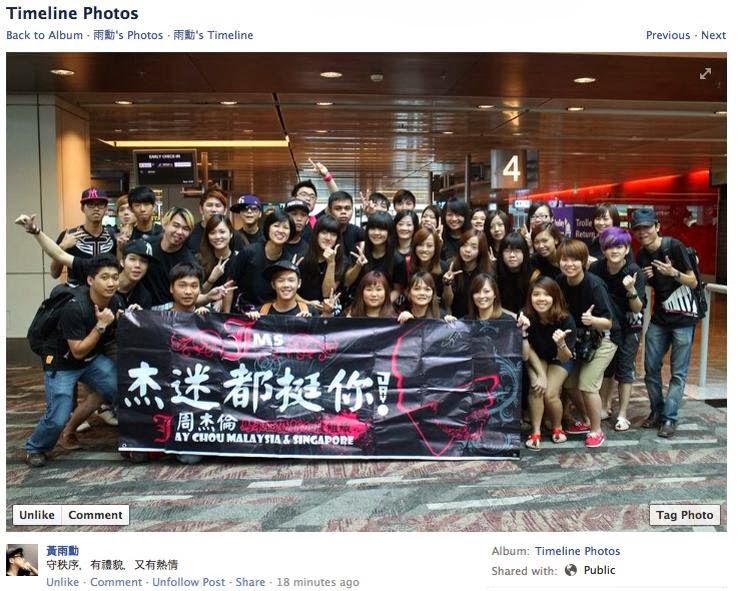 We also wish him and Jay all the very best in the APFF Awards!